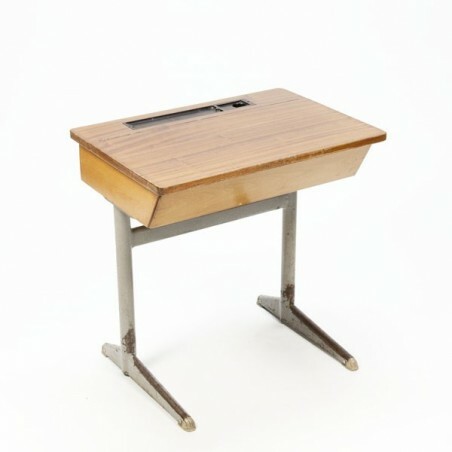 Vintage school desk by the Dutch brand Mühren, Volendam. 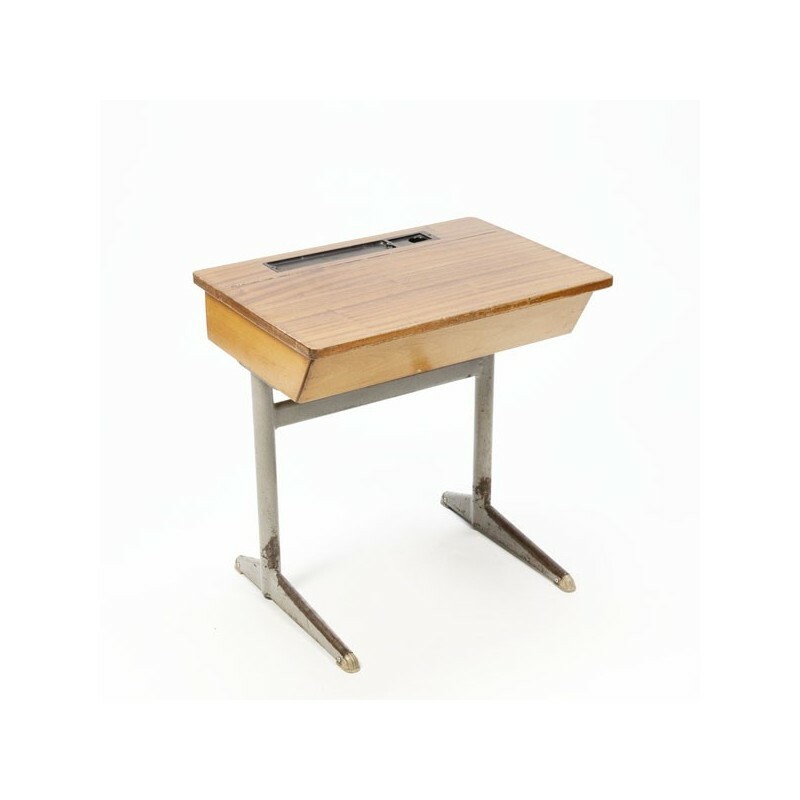 The desk has a grey metal frame and a wooden top, which is folding ( storage space). The desk is in reasonably good condition given it's age ( there are traces of use). The size is 60 cm L / 42 cm W/ 60 cm H.